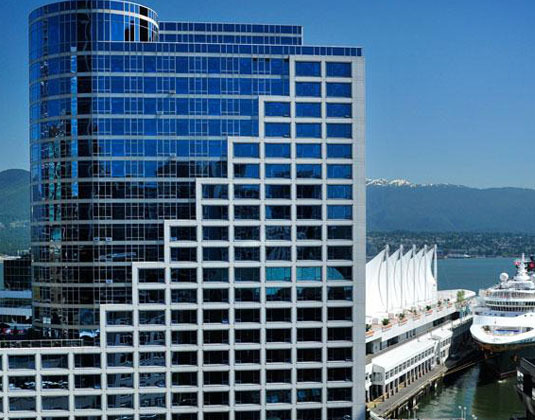 Relaxed luxury awaits you at this hotel which resides on the city's dynamic waterfront by the shores of Burrard Inlet. Offering upscale comfort, personalised service and unparalleled west coast views, the hotel has easy access to the cruise ship terminal and Waterfront Sky Train Station, along with Gastown eateries and Robson Street. In Fairmont rooms with TV, coffee maker, mini bar, hairdryer, iron & ironing board and safe. 3 for 2: On selected dates 15 Dec 19-05 Jan 20.
dates between Nov 18-Mar 20. Nov 19-Mar 20 if you book by 15 Nov 19.